Hussein we have a problem. It’s those Jews. I wonder why they don’t like B. Hussein Obama? Hmmm, let’s see. Could be his Islamic ties? 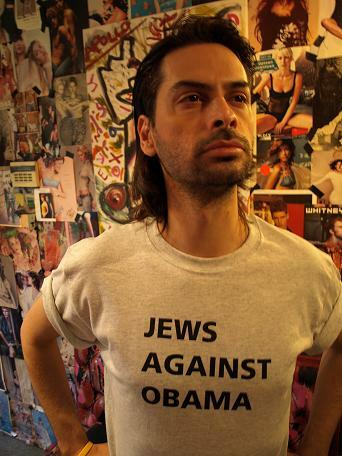 And it could be that the Obama campaign hired David Bonior who is widely viewed in the Jewish community as being Anti Israel (he’s against pro Israel so that makes him anti Israel – hmmm ok). Recently Obama was in Florida trying to drum up the Jewish support. I have a feeling that ain’t gonna work. Jewish voters run both sides. There are liberal ones who will vote for him, but the more conservative ones will vote for McCain. I have no idea which group is bigger. The Washington Post is unusually disgusting today. It has this sickening sweet thing written by a liberal (and featuring a liberal Jew). I wonder if Barack Obama wore his flag pin today? Deep Humility? There’s something deep here and it isn’t humility. Remember this Picture on Election Day!